1. 1 Passes to 5 for the entry. 2. 2 then cuts through to the corner and 4 screens for him. 3. 3 comes up and circles the ball. 4. 1 Trails 2 and screens for 4. 1. 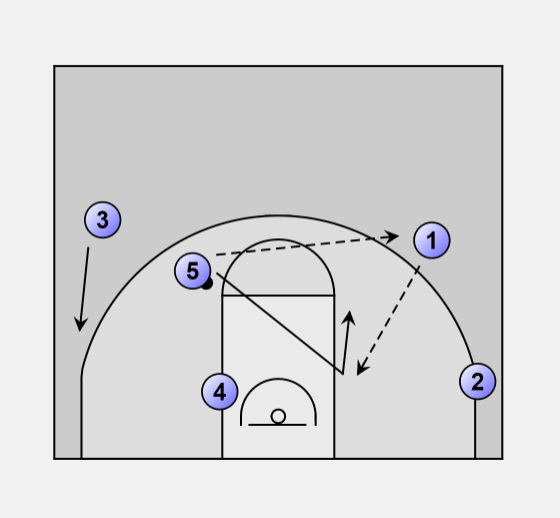 4 comes over the top of 1's screen and flashes to the ball. 2. 1 then flashes up to the point position. 1. 5 passes to 1 on the wing, then flashes to the ball side block and looks for ball. 2. If 5 doesn't get the ball. We are back into our offense.